The Shareware Library is a resource where COE members can share with other COE members. The tool has recently been updated. Check out new content and become involved by clicking the access link at the bottom of this page. The shareware library gives you, and others, the opportunity to share programs or utilities with other COE members. On the download page you'll find links to administration utilities, tips and other useful stuff. Access to the shareware files will be given to any member of COE or an affiliated CATIA users group (e.g. ECUA or APCOE). Access to the files is yet another benefit of joining. 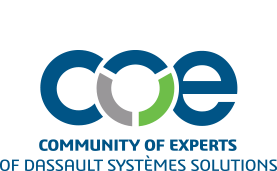 If you are not currently a member, learn more about becoming a COE member. If you are not sure if you are a member, contact COE Headquarters are coe@coe.org or 312.321.5153. If you have forgotten your password, click "Forgot your Password" in the upper right hand corner of the screen. As our strength lies in the contributions of users, we are always looking for new additions to the library. This is your chance to help and be sweetly rewarded in the process with a COE gift. You'll be the envy of all your CATIA peers! If you have software you'd like to contribute. All shareware titles available for download through this or any other website owned and operated by COE are provided by third party authors. COE and the authors disclaim any responsibility for or liability related to the software. The software is provided by COE and the author “as is” and “with all faults." COE makes no representations or warranties of any kind concerning the quality, safety or suitability of the software, either expressed or implied, including without limitation any implied warranties or merchantability, fitness for a particular purpose, or non-infringement. In no event will COE or the author be liable for any indirect, punitive, special, incidental or consequential damages however they may arise and even if COE or the author have been previously advised of the possibility of such damages. There are inherent dangers in the use of any software available for download on the Internet, and COE cautions you to make sure that you completely understand the potential risks before downloading any of the software. You are solely responsible for adequate protection and backup of the data and equipment used in connection with any of the software, and COE will not be liable for any damages that you may suffer in connection with using, modifying or distributing any of the software. I have read and agree with the legal terms, proceed to Shareware section.